Well, although I’ve already talked about splatterpunk horror fiction a few times before, I thought that I’d talk about a similar – but slightly different – genre of horror fiction today. I am, of course, talking about extreme horror fiction. This is mostly because, at the time of writing, I’m reading an absolutely amazing surreal noir detective novel (“Word Made Flesh” by Jack O’Connell) that also includes some brilliantly disturbing extreme horror elements too. Needless to say, this article will contain some SPOILERS for the earlier parts of this novel. Although there’s a lot of overlap between splatterpunk horror fiction and extreme horror fiction, I’d argue that the two things are at least somewhat different. In short, whilst splatterpunk horror fiction is often “gruesome for the sake of gruesome”, extreme horror takes the unflinching attitude of splatterpunk fiction and uses it in a way that is a lot more insidious and disturbing. In other words, whilst extreme horror might be gruesome, this isn’t the sole source of horror that the reader is confronted with. So, here are a couple of tips for writing extreme horror fiction. 1) It’s not what is shown, it is how it is shown: The horror/detective novel I mentioned earlier (“Word Made Flesh”) begins with one of the creepiest and most disturbing prologues that I’ve ever read. It’s the kind of prologue that, due to it’s sadistic, cruel, ultra-violent and grotesque nature, probably shouldn’t be described in too much detail here. Yet, although this sounds like it would be a typical scene from a splatterpunk horror novel, this prologue does a few things differently to the average splatterpunk novel – which make the horror of this scene about ten times more disturbing. For starters, the prologue sometimes shows relatively little in the way of gory detail. Instead of spending numerous paragraphs describing the grisly events that happen, the prologue will – for example – spend a couple of paragraphs talking in great depth about how a group of murderers carefully crafted their scalpels in accordance with various traditions. This evokes a sense of deep horror by contrasting beautiful things (eg: tradition, timeless artefacts, creativity) with the grotesquely cruel use that the scalpels are put to. Likewise, when the scene in question does include gory detail, it will often leave some elements and details to the imagination. In other words, it will describe enough to make you wince with disgust but it won’t always go into the level of hyper-specific detail that a traditional splatterpunk novel typically would. By showing some grisly detail, then leaving some of it to the imagination – it creates the impression that some elements of the scene are too horrific to show. And, since what the reader does see is pretty gross, it makes them think that the details they don’t see are ten times worse. Finally, the narrative tone of the scene adds an extra level of extremity to the horror. 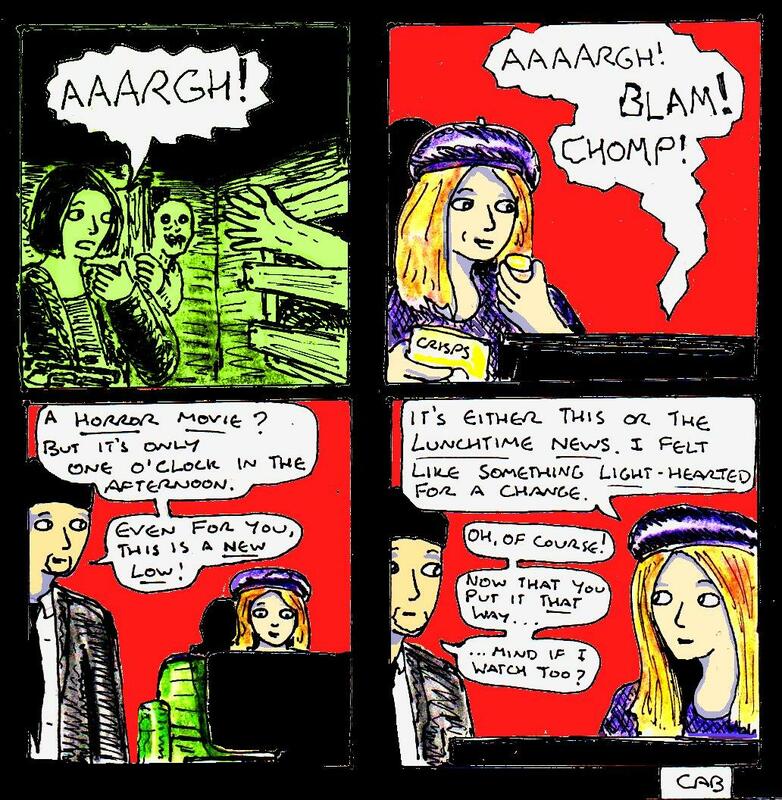 The scene in question is narrated in a casual, poetic and occasionally informal way (with the narrator even making the occasional macabre joke or talking directly to the reader). Although this sounds like it would lessen the horror of the scene, it actually makes the scene in question considerably more disturbing because the narrator is able to be so relaxed, awe-struck and/or happy in the presence of something so cruel and horrific. In other words, it makes the reader feel like they’re listening to someone very, very evil. So, yes, extreme horror isn’t about what you show, it’s about how you show it. 2) Taboos: One of the other things that sets extreme horror fiction apart from splatterpunk horror fiction is the genre’s willingness to focus on taboo subject matter. A good example of this is an incredibly disturbing chapter in “Word Made Flesh” where an old taxi driver talks about suffering bigotry and violent prejudice during his youth. Even though most of this chapter isn’t exactly easy reading, it finishes with one of the most unsettling, creepy and just generally disturbing passages of text I’ve read in quite a while. After the taxi driver has talked about his tragic history, he then gives a chillingly “matter-of-fact” description of the psychology of the people who committed these crimes. Not only does this tap into some fairly disturbing subject matter, but it also examines these taboo subjects in a level of philosophical and psychological detail that is genuinely disturbing. In other words, this scene takes an unflinching look at taboo topics (like the psychology of evil ) that are too disturbing to think about in detail. So, the difference between extreme horror fiction and splatterpunk horror fiction is the fact that whilst splatterpunk might be willing to take an unflinching look at gruesome fictional events, extreme horror is willing to take the same attitude towards real taboos. And this makes extreme horror about ten times creepier than splatterpunk horror. Yet, this also makes extreme horror considerably more difficult to write than splatterpunk horror. After all, taboo subjects are usually taboo for a good reason. So, not only do these scenes have to be written extremely carefully but they’re also likely to provoke strong reactions in audiences and publishers. So, yes, taboo-based horror is probably one of the most difficult elements of extreme horror fiction to get right. Well, although my next book review will be of a more modern horror novel (“Empire Of Salt” by Weston Ochse), one of the cool things that I’ve re-discovered after getting back into reading regularly are 1970s/80s horror novels (like Shaun Hutson’s “Erebus“, Richard Lewis’ “Devil’s Coach-Horse” etc..). And, yes, the Shaun Hutson cover is a 2000s reprint. And I haven’t reviewed “Cabal” yet – mostly since I already read it twice when I was younger [Edit: Expect a review of “Cabal” in mid-August]. Not only do these novel covers understand the value of good visual storytelling (seriously, something dramatic is happening in each of them!) but they also use lighting in a really cool way too. If you’ve done any reading into art history, you’ve probably heard of Tenebrism before – this is a historical style of art (used by artists like Caravaggio and Joseph Wright Of Derby), milder forms of this style also are often called “chiaroscuro”. 2) Splatterpunk: I’ve talked a lot about the splatterpunk genre recently and it never gets old. If you’ve never heard about splatterpunk before, it is a term for a trend within horror fiction during the 1970s-90s that involved moving away from leaving stuff to the reader’s imaginations and towards describing all of the gory details instead. And, yes, these 1970s-90s splatterpunk novels are gruesome. Seriously, some of them make the “Saw” movies look like Disney films by comparison. But, why is splatterpunk fiction so cool? There are a few reasons. The first is that it was a brilliantly rebellious reaction to the stricter film censorship of the 1980s (eg: the “Video Nasties” moral panic in the UK). The second reason is because this emphasis on gruesome horror often lends the stories a surprisingly timeless quality (again, modern horror movies seem fairly tame in comparison to some splatterpunk novels). The third reason is because splatterpunk fiction had an influence on the horror genre as a whole. The fourth reason is because they often had a rather rebellious/subversive attitude towards authority. Finally, they combine the atmospheric narration of traditional horror fiction with the slightly more fast-paced storytelling of an old-school thriller novel. 3) Their popularity: If you’ve done any online reading into the history of horror fiction, you’ll have probably heard of the “horror boom” of the 1970s-90s. This was a time when horror fiction was actually a popular genre of fiction. And, if you ever saw the woefully slender “horror” shelf of a major UK bookshop during the 2000s/early 2010s (or the way it is sometimes lumped in with “sci-fi & fantasy” – both of which should also get their own dedicated shelves- these days, if it even appears at all), then this history will fill you with both sorrow at the current state of the genre and the hope that one day it will return to it’s former popularity, like a zombie rising from the grave. 4) They’re still very readable: Although some 1970s/80s horror novels haven’t aged well, most of them have aged surprisingly well. One of the really interesting things about a lot of old horror novels is that they rarely seem that “retro”. They often read like more modern stories that just don’t include modern technology. Although a few of them seem either wonderfully retro or horribly dated when read these days, most of them stand the test of time surprisingly well. This is because, at their core, they are often timeless tales of human drama and/or survival. Likewise, they are often structured in a vaguely similar way to an old-style thriller novel (albeit with a few different narrative techniques) which really helps to keep these stories compelling. In addition to this, the writing style used in many of these older horror novels is descriptive enough to be atmospheric but “matter of fact” enough to be read at a reasonable pace. Although this writing style is probably a little bit “formal” when compared to modern horror/thriller novels, it is still astonishingly readable even to this day. You can also find lots of other comics featuring these characters on this page too. And, yes, this comic update probably means that the events of this Halloween comic aren’t strictly “canon”, if you care about that kind of thing. Well, for today, I thought that I’d talk about some of the differences between thriller and horror fiction. This is mostly because I tried to read a thriller novel called “The Storm” by Clive Cussler & Graham Brown a few days after re-reading a horror novel called “Erebus” by Shaun Hutson. Surprisingly, I ended up abandoning “The Storm” (despite really enjoying Cussler & Brown’s “Zero Hour“) after about forty pages and started to read a gothic vampire novel instead. One reason for this was probably that my expectations had changed after I’d got back into reading horror novels occasionally. This then made me think about the differences between thriller fiction and horror fiction. Since, on the surface, these two genres have a lot in common with each other – they revolve around creating suspense and evoking strong emotions. They rely on clever pacing and good plotting. They rely on being a little bit “larger than life” in different ways. Plus, thriller stories will often contain horror elements and vice versa. Yet, there are differences. 1) Characterisation: Simply put, horror fiction will often devote more time to characterisation than thriller fiction will. This allows the horrific events of a horror story to have more of an impact on the reader because they “know” the characters and can empathise with them more. Even splatterpunk horror fiction, which will often feature lots of grisly background character deaths, will still give those background characters a moderate amount of characterisation because their fate is more shocking when the audience can empathise with them. On the other hand, traditional-style thriller fiction will often sacrifice characterisation in order to place more emphasis on fast pacing, gripping events and thrilling action. Although this may sound bad, it is one of the things that gives thriller novels their characteristic speed and energy. Because the main characters in thriller stories are often a variation on the traditional “action hero” character, the audience knows what to expect – so the writer can spend more time on describing their thrilling exploits. This focus on events rather than characters also means that the violent events of a thriller novel will often come across as “thrilling fast-paced action” rather than “horrific brutality“. So, there are good practical reasons for the slightly less detailed and more stylised characterisation in thriller novels. 2) Mystery: Although “solving a mystery” is the engine that drives many thriller and horror novels, this is used in subtly different ways in each genre. In thriller fiction, it is used to propel the characters into action and, in horror fiction, it is used to create a sense of unease and dread. In thriller fiction, the mystery is a puzzle to be solved and, in horror fiction, the mystery is an unknown threat to the characters. The difference between these two things can be seen perfectly when comparing the early parts of Shaun Hutson’s “Erebus” and Clive Cussler & Graham Brown’s “The Storm”. In both stories, the solution to the mystery is made obvious to the reader (either directly or indirectly) fairly early on. But the effects that this has on the story couldn’t be more different. In “Erebus”, it’s obvious to anyone who’s ever seen a horror movie that the story’s mysterious chemical company probably has something to do with the horrific events that are happening in the local village. Yet, this doesn’t really lessen the horror elements of the story. After all, the focus of the story is on the effects that the chemical company’s actions have and the chilling fact that they can do things like this. The only real mystery is “could it be worse than I imagine it might be?“. On the other hand, almost directly after a rather mysterious horror movie-style scene during the third (?) chapter of “The Storm”, there’s a chapter where the novel’s villains gather together and explain exactly what happened and why it happened. This completely sabotages any sense of thrilling suspense that the story has. 3) Narrative style: Although I’ve talked about this before, it’s worth repeating. The narration in horror stories, even “low-brow” splatterpunk stories, vampire novels etc.. has a surprising amount in common with the more complex narration found in more “high-brow” literary fiction. Both will often use vivid descriptions, emotional descriptions and pithy observations. They will also use a reasonably varied and complex vocabulary too. This also usually means that the pace of the story will be slightly slower. Thriller novels, especially streamlined ultra-thrilling modern ones, don’t do this. Their approach to narration is much more “matter of fact” and has more in common with the classic hardboiled pulp detective fiction of the 1920s-50s. This isn’t “better” or “worse” than horror fiction, it’s just different. But, why are they so different? Simply put, it’s because they need to achieve different things. For a horror story to work properly, it needs to build atmosphere and suspense. It needs to create vivid, disturbing images in the minds of the audience. It needs to immerse the audience in the story, so that they feel like the horror is happening to them. In a splatterpunk novel, the writer also has to contrast beautiful narration with ugly events for dramatic effect. To be able to do all of this well, you need to use fairly “high definition” writing that may be slower to read, but has a lot more depth to it. On the other hand, a good thriller novel needs to focus on speed. It needs to be something where the reader is furiously turning the page to see what happens next. It needs to be something where the writing doesn’t get in the way of the action. It needs to be something that the reader can’t put down because it’s really easy to read another chapter. It’s kind of like an older computer game running on a more modern computer – yes, the “graphics” might not look as good, but the game will run ridiculously quickly and smoothly! And, in a thriller novel, this is what you want to achieve. Well, I thought that I’d talk about 1980s splatterpunk fiction today. This is mostly because I’m re-reading an old 1980s horror novel called “Erebus” by Shaun Hutson that I first discovered when I was a teenager during the early-mid ’00s. Back then, old second-hand splatterpunk novels from the 1980s (or, more accurately, the mid-late 1970s to the early-mid 1990s) were the coolest thing in the world. Or at least I thought that they were. Alas, I was a little late to the party. 1) Characterisation! : Whether it is more visceral “video nasty”-style stories by Shaun Hutson, poetic and sophisticated splatterpunk stories by Clive Barker, the supernatural drama of Graham Masterton or the classic stories of James Herbert, old splatterpunk novels had one thing in common – Characterisation! A classic splatterpunk technique is to start a chapter by introducing a new character. The writer will then spend a couple of pages showing the character going about their daily life, whilst also giving the reader a bit of information about their backstory and personality. Usually, the character’s life will be slightly mundane, unusual and/or miserable. The audience is given a while to get to know this character. Then the character dies horribly in some kind of ultra-grisly way. This technique works because of the characterisation. Because we get to see the ordinary life of the character and learn a bit about them, their inevitable grisly demise is more dramatic and shocking. They aren’t some generic background character, they’re an actual, relatable character. This technique is especially effective in the early parts of a splatterpunk story, when the audience can’t quite be certain which characters will be the main characters and which characters won’t survive to the next chapter. But, regardless, characterisation is more important than you might think in 1980s-style splatterpunk stories. 2) Eloquence: 1980s splatterpunk fiction is more sophisticated than you think! In order for the genre to evoke the emotions of foreboding, disgust, suspense and/or horror that it is known for, it has to be well-written. In other words, splatterpunk fiction is a genre that involves painting with words, poetic descriptions and all sorts of sophisticated stuff that you might not expect. For example, whilst you might not think of him as a “high-brow” writer, Shaun Hutson’s narration is often a lot more eloquent and complex than you might initially think. This is the cover of the 2002 Time Warner (UK) paperback reprint of “Erebus” (1984). …And contains more blood & guts than ten horror movies. But, why do 1980s splatterpunk novels include such eloquent language? Simply put, it has to do with the contrast between beauty and ugliness. A lot of what makes 1980s splatterpunk fiction such a distinctive genre is because it describes ugly things (eg: death, decay, violence etc..) in beautiful ways. Classic splatterpunk fiction renders grisly scenes of horror with the skill and finesse of a poet describing a beautiful sunset. If you don’t believe me, then read Clive Barker’s “Books Of Blood” for some expert examples of this. So, if you’re writing a 1980s-style splatterpunk novel, then you need to paint with words. You need to be eloquent. Your writing needs to be sophisticated. 3) The mundane: Like with “high brow” literary fiction, splatterpunk stories will often focus heavily on ordinary, mundane, dreary everyday life. The characters will be ordinary people. The locations will often be ordinary towns, suburbs and cities. But, why? Aside from making the settings and characters more relatable to the audience, and contrasting the ordinary and the grotesque for dramatic effect, the main reason why old splatterpunk writers do this is because of the “punk” part of the splatterpunk genre. In short, the crappiness of grinding, dull, mundane everyday life is part of the horror. It is shown to be something inherently oppressive, bleak and menacing. The world isn’t shown in some stylised, idealised way – but with the bleak cynical clarity of a nihilistic punk song. The world is shown warts and all. And this is before the giant rats, zombie vampires, deranged serial killers etc… begin to appear. So, if you’re writing a 1980s-style splatterpunk story, then focus on the mundane. One of the interesting things about famous horror authors is that many of them have either written non-horror novels or they’ve moved into other genres. These non-horror stories can be really good, but this happens surprisingly often. Whether it is Clive Barker writing several splatterpunk classics like “The Books Of Blood” and “Cabal” during the 1980s and then moving more towards fantasy and/or YA fiction (eg: the excellent “Abarat” books), whether it is when Shaun Hutson took occasional breaks from splatterpunk horror fiction during the 1990s/early 2000s to write several action/thriller novels (eg: “White Ghost”, “Exit Wounds” etc..) or whether it is when Billy Martin went from writing gothic horror and splatterpunk novels during the 1990s to writing comedy/drama/romance/food-based novels (the amazing “Liqour” series) during the 2000s, this seems to happen a lot with horror authors. Even Stephen King has apparently written several non-horror novels in various genres. So, I thought that I’d offer some theories about possible reasons why this happens. These are just theories, based on my experiences with other types of creativity and limited experiences with writing horror fiction, but hopefully they’re at least vaguely interesting. 1) Inspiration: Simply put, making the same types of things too long can get dull after a while. Sometimes, in order to stay inspired, you have to make different things. But, after a while, I found myself drifting away from making cyberpunk art. I felt, for want of a better description, slightly bored with it. Yes, I still make cyberpunk art every now and then, and it’s still one of my favourite genres. But, if I’d have just stuck to only making cyberpunk art, then I’d probably have run out of enthusiasm for making art. And, my guess is that the same sort of thing is probably true for famous horror authors too. As the old saying goes, variety is the spice of life. 2) Emotional factors: Although I’ve dabbled with writing shorter, milder and/or more light-hearted works of horror fiction during the past few years (like these sci-fi horror stories, or this comedy horror interactive story), I once wanted to be a “proper” horror writer. And, it’s more difficult than it looks! Simply put, writing proper genuinely scary/disturbing horror fiction can be quite hard on you emotionally if you’re doing it properly. Since you actually have to vividly imagine and plan what you write in a story, the horror is magnified considerably compared to just reading horror fiction. I mean, I remember leaving a short splatterpunk story I tried to write in 2009/10 called “Pulch” (where the narrator is slowly dissolved by a giant carnivorous plant) unfinished because I was just too grossed out by it to continue writing. Likewise, when I wrote an unpublished horror novella in 2009 (mostly as an unofficial attempt at the “3 Day Novel” challenge), I actually found myself pulling back during one of the more grim scenes and implying, rather than showing, something horrific because I was just too horrified to keep writing the scene in question in any other way. The thing to remember about horror fiction is that, if you’re feeling scared or grossed out when reading it, then the author probably felt those emotions even more strongly whilst writing it. As such, I can easily see why horror authors might take a break from the horror genre for the sake of their sanity. 3) Other interests: Simply put, most people have multiple interests. In fact, in order to create truly original things, you need to have multiple inspirations (and the more different they are, the more original your work will be). As such, a good horror author is probably a fan of other genres too. So, horror authors that move away from writing horror fiction to write other types of fiction might just do this because they’re just as much of a fan of another genre as they are of the horror genre, and want to be part of that genre too. To see what their own unique interpretation of the genre would look like, and to have fun writing stories that they enjoy. So, a horror writer moving away from horror fiction might happen because they’re also a fan of other genres too.